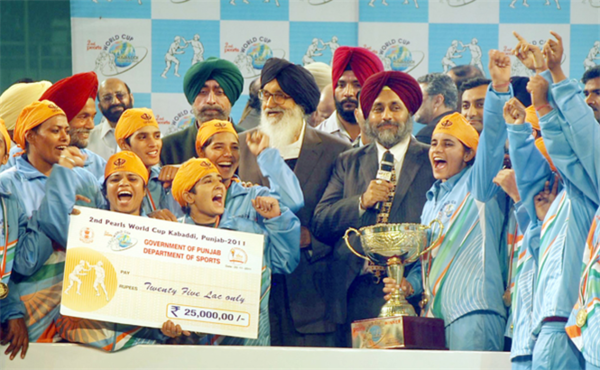 Indian womens' Team won the finals against the British women Kabaddi team and the final score was 44-17. They were able to defeat USA in their semi finals few hours after the fatal bus accidents which injured 14 players and killed one police man and a driver. On the Men's section, India team easily beat the Canada side 59-25 in the final match played at the Guru Nanak Dev stadium late on Sunday. India was also the winner of the inaugural edition of the World Cup Kabaddi in 2010. This year, 14 men's and four women’s teams participated in 2nd world cup for Kabaddi. Congratulations to Team India for their Wins!!! We leave you with some stills from the World cup event. What Does Rishi Kapoor's Tweet for Female Cricketers Say About Male Mentality? Women Cricketers Are Making Us Proud, But How many People Are Watching? Surge in documented crimes against women - Good News? Why Did Men in Blue Let Us Down Yesterday?